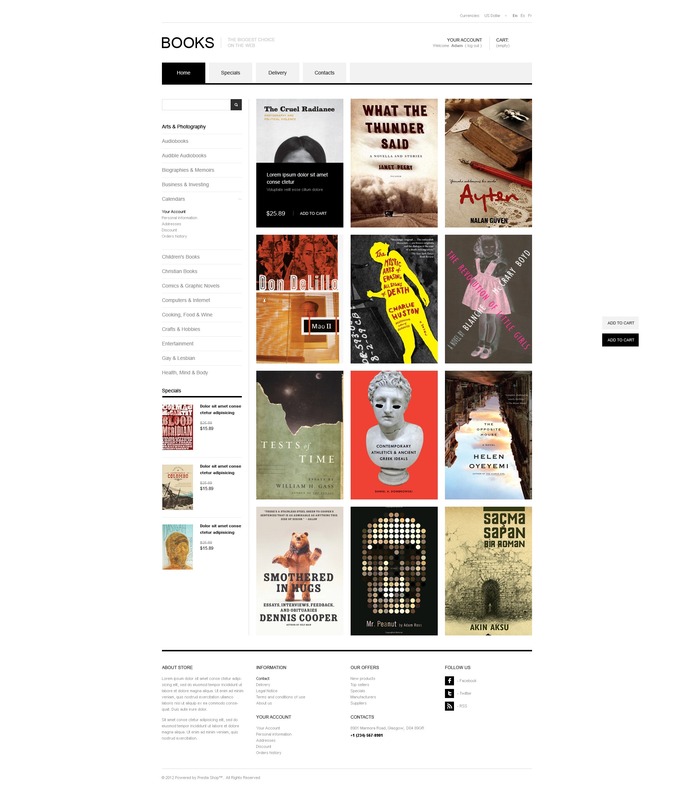 You will hardly find a better template to start a profitable online book store. Multiple book images standing out against fair background have amazing visual effect on hovering. Widgets in sidebar and footer facilitate better navigation. Social icons are provided for quick sharing with users' friends and acquaintances. The design. I think is the best for online store.